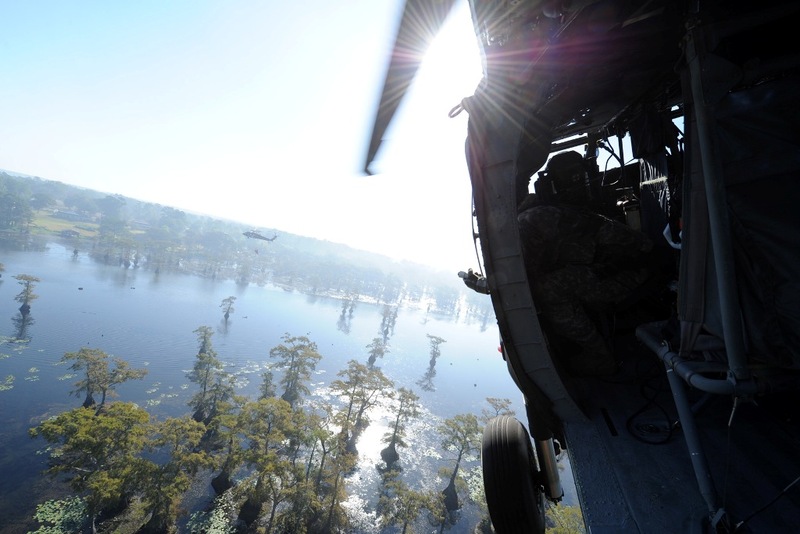 NEW ORLEANS – Four Louisiana National Guardsmen from the 1st Assault Helicopter Battalion, 244th Aviation Regiment who died in a training accident, March 10, have been identified. Chief Warrant Officer 4 George Wayne Griffin Jr, 37; Chief Warrant Officer 4 George David Strother, 44; Staff Sgt. Lance Bergeron, 40; and Staff Sgt. Thomas Florich, 26; died when a UH-60M Black Hawk they were riding on crashed into the Santa Rosa Sound, Florida. Griffin, of Delhi, joined the Louisiana National Guard in 1994. He deployed to Iraq in 2004-2005 and again in 2008-2009. He also served during state deployments during Hurricanes Katrina, Rita and Isaac as well as in support of Operations River Guardian and Deepwater Horizon. Griffin commissioned as a warrant officer in 1999 before going on to become the battalion standardization pilot with over 6,000 flight hours, including more than 1,000 combat hours. “G Wayne Griffin was born to be an Army Aviator,” said Chief Warrant Officer 5 Reggie Lane, commander of Detachment 38, Operational Support Airlift Command. “As one of the most talented and respected Warrant Officers in the Louisiana National Guard, he had a tremendous passion for flying, and a God-given natural ability to fly both helicopters and airplanes and to teach others to be the best aviators and crewmembers that they could be. Griffin is survived by his wife, four children and father. Strother, of Alexandria, served in the Louisiana National Guard from 1988-2007, and again from 2009 until his death. He deployed to Iraq in 2004-2005, Afghanistan in 2011 and Kosovo in 2014. He also served during state deployments for Hurricanes Katrina, Rita and Isaac. Strother commissioned as a warrant officer in 1994 before going on to become an instructor pilot with over 2,400 flight hours, including more than 700 combat hours. Strother is survived by his wife, son and step-daughter, and mother. Bergeron, of Thibodaux, enlisted into the U.S. Marine Corps in 1998 before joining the LANG in 2001 as a Black Hawk repairer. His extensive experience as a qualified enlisted flight instructor, graduate of the aircraft crewmember standardization instructor course, aircraft maintainer course, and warrior leader course made Bergeron a crew chief others aspired to be, according to members of his unit. The combat veteran deployed to Iraq twice, in 2004-2005 and 2008-2009. Bergeron also served during state deployments for Hurricanes Katrina, Rita, Isaac and Operation River Guardian. According to Sgt. 1st Class Brian Marquez, platoon sergeant, A Co., 1-244th AHB, Bergeron was one of the most qualified crew chiefs in the Guard, with more than 1,300 flight hours, including 377 combat hours. “Lance was one of the most dedicated crew chiefs that I have ever had the pleasure of serving with during my leadership,” Marquez said. 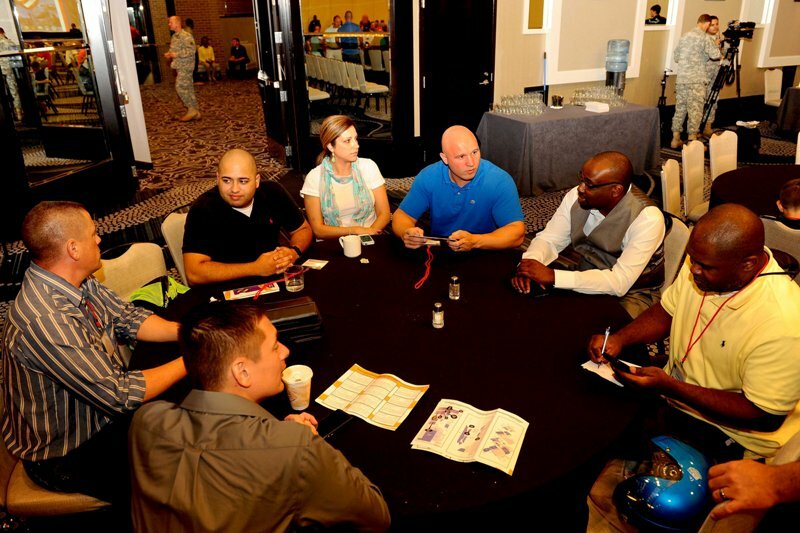 “As the senior most standardization crew chief instructor in the Battalion, he was a subject matter expert in his job who exhibited an excitement of learning new skills and educating new unit members on the UH-60 aircraft, pilots and crew chiefs alike. Bergeron is survived by his wife, two children and his parents. Staff Sgt. Thomas Florich, of Fairfax County, Virginia, enlisted in the LANG in 2007 as a Black Hawk repairer. He was posthumously promoted from sergeant to staff sergeant. Florich served during state deployments for Operation Deepwater Horizon and Hurricane Isaac. He earned more than 125 flight hours and was a graduate of the warrior leader course. Florich is survived by his wife, father and stepmother. “These are not ordinary men. They were extraordinary people, as well as amazing aviators and crew chiefs,” said Lt. Col. John L. Bonnette II, commander of the 1-244th. When I say they were heroes, I mean it many times over. They risked their lives under difficult conditions flying in combat, and during national emergencies, to ensure our security and help save thousands of people. I don’t have the words to sum up their lives in a few sentences. You just can’t. These aviators had a camaraderie that was second to none in the military. 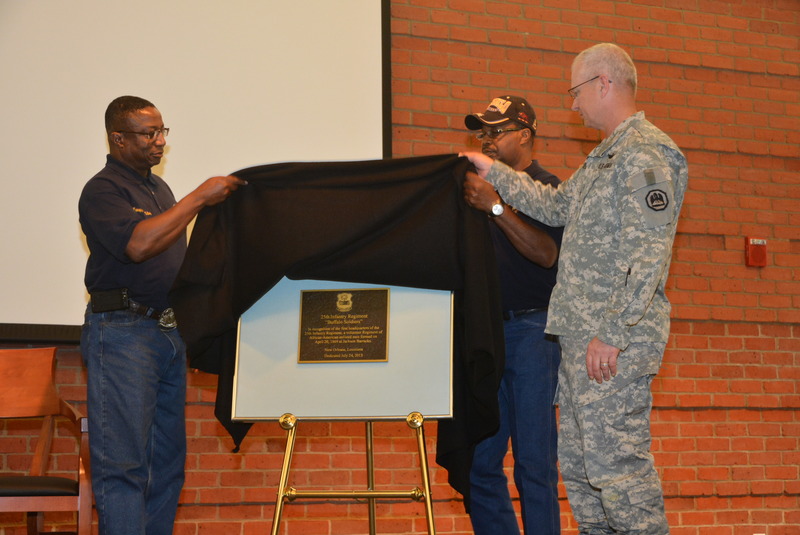 “This crew was made up of larger-than-life men who had a passion for Army Aviation that was so evident in the dedication that they had towards their profession,” said Col. Patrick R. Bossetta, commander of the State Aviation Command. I know this as I have personally flown with each one of them. They were driven by their intense desire to selflessly serve their country, fellow Soldiers and Marines. “These brave men died doing something they loved. May we all be so lucky, and may they always fly high,” said Curtis. The Louisiana Army National Guard was participating in a routine night-time training exercise with the Marine 2nd Special Operations Battalion. The Black Hawk carrying the four aircrew and seven Marines crashed into the Santa Rosa Sound in Navarre, Florida, March 10. Griffin’s awards and decorations include the Meritorious Service Medal, Air Medal (2nd Award), Army Reserve Components Achievement Medal (6th Award), National Defense Service Medal with Bronze Service Star, Iraq Campaign Medal with two Campaign Stars, Global War on Terrorism Expeditionary Medal, Global War on Terrorism Service Medal, Armed Forces Service Medal, Humanitarian Service Medal (2nd Award), Armed Forces Reserve Medal with Silver Hour Glass and M Device, Noncommissioned Officer Professional Development Ribbon, Army Service Ribbon, Overseas Service Ribbon (2nd Award), Army Reserve Component Overseas Training Ribbon (4th Award), Louisiana War Cross (2nd Award), Louisiana Emergency Service Medal (3rd Award), Louisiana General Excellence Ribbon and Louisiana Longevity Ribbon. 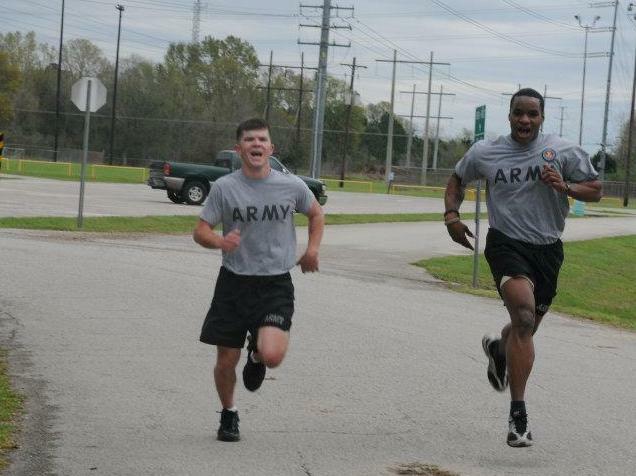 He had earned the Combat Action Badge, Senior Army Aviator Badge and Basic Aviation Badge. Strother’s awards and decorations include the Air Medal (3rd Award), Army Commendation Medal (3rd Award), Army Reserve Component Achievement Medal (7th Award), National Defense Service Medal with Bronze Service Star, Armed Forces Expeditionary Medal, Afghanistan Campaign Medal with Campaign Star, Iraq Campaign Medal, Global War on Terrorism Service Medal, Humanitarian Service Medal, Armed Forces Reserve Medal with Silver Hourglass and M Device, Noncommissioned Officer Professional Development Ribbon, Army Service Ribbon, Overseas Service Ribbon (3rd Award), NATO Medal, Louisiana War Cross (3rd Award), Louisiana Cold War Victory Ribbon, Louisiana Emergency Service Medal (3rd Award), Louisiana General Excellence Ribbon and Louisiana Longevity Ribbon (4th Award). He had earned the Combat Action Badge and Master Aviator Badge. Medal (3rd Award), National Defense Service Medal with Bronze Service Star, Iraq Campaign Medal with 2 Campaign Stars, Global War on Terrorism Expeditionary Medal, Global War on Terrorism Service Medal, Armed Forces Service Medal, Humanitarian Service Medal (2nd Award), Armed Forces Reserve Medal with Bronze Hour Glass and M Device, Noncommissioned Officer Professional Development Ribbon, Army Service Ribbon, Overseas Service Ribbon (2nd Award), Army Reserve Components Overseas Training Ribbon, Sea Service Deployment Ribbon (Navy), Louisiana War Cross (2nd Award), Louisiana Emergency Service Medal (3rd Award), Louisiana General Excellence Ribbon (3rd Award) and Louisiana Longevity Ribbon (2nd Award). He had also earned the Combat Action Badge and Senior Aviation Badge. Florich’s awards include the Army Achievement Medal, Army Reserve Components Achievement Medal (2nd Award), National Defense Service Medal, Noncommissioned Officer Professional Development Ribbon, Army Service Ribbon, Army Reserve Components Overseas Training Ribbon, Coast Guard Special Operations Service Ribbon, Louisiana Emergency Service Ribbon (2nd Award), Louisiana General Excellence Ribbon and Louisiana Longevity Ribbon. He had also earned the Basic Aviation Badge.